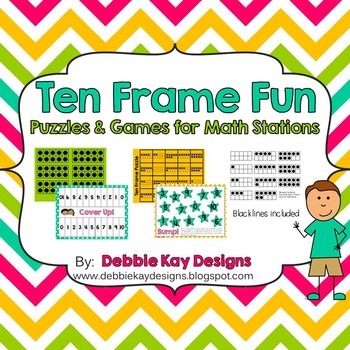 debbie kay designs: Ten Frame Fun! 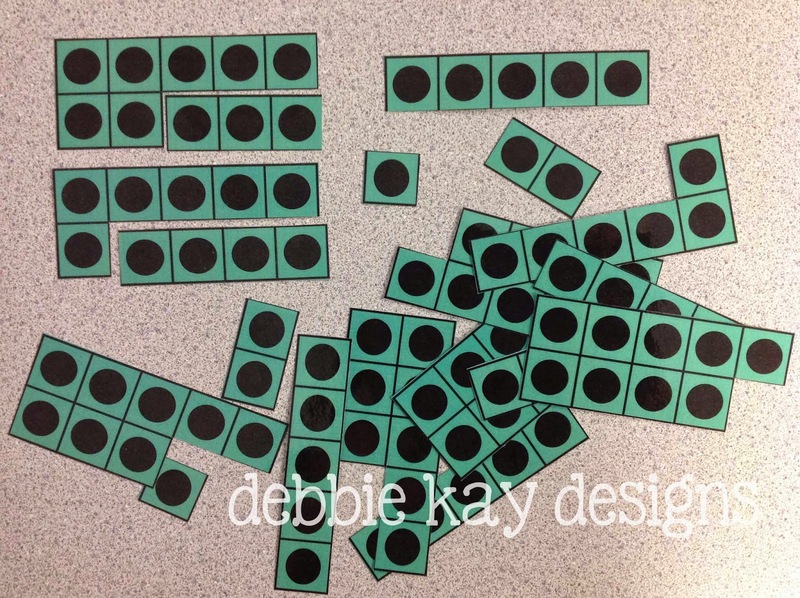 This week in my classroom it's all about ten frames! Our goal for this week is to be able to recognize quantities on ten frames with automaticity. In other words, subitizing. So, I made some ten frame games and puzzles to help my students practice while engaging them in fun. Today, I introduced two of the activities included in my new packet. The first is a puzzle. Students can match quantities to complete a ten frame. Simple, but effective practice. 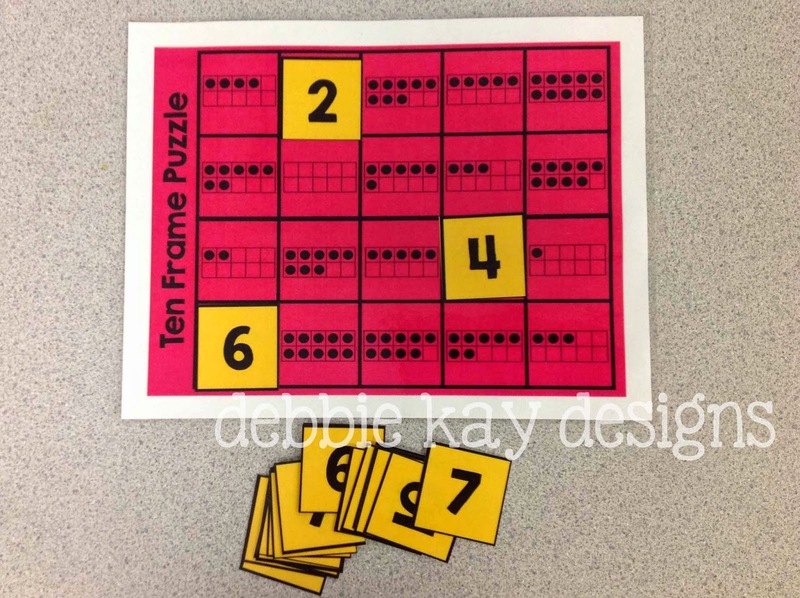 I've done similar puzzles for 120 charts and the kids have loved them, so why not ten frames? The second activity introduced today was another variety of ten frame puzzle. Students match numbers to corresponding ten frames on the puzzle board. We did this with two students working together on one puzzle. After practicing once, I engaged students in racing another team. Two against two. THEY LOVED THIS!!! Let me say this again.... THEY LOVED THIS!!! A little competition was all they needed to help them increase their speed and accuracy in identifying quantities on ten frames. Highly recommend! Both of these activities are included in my new packet Ten Frame Fun. 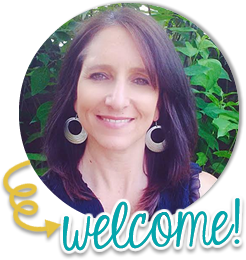 Be sure to check it out on TPT and check back here to see some of the other activities in action once I've introduced them in my classroom later this week.